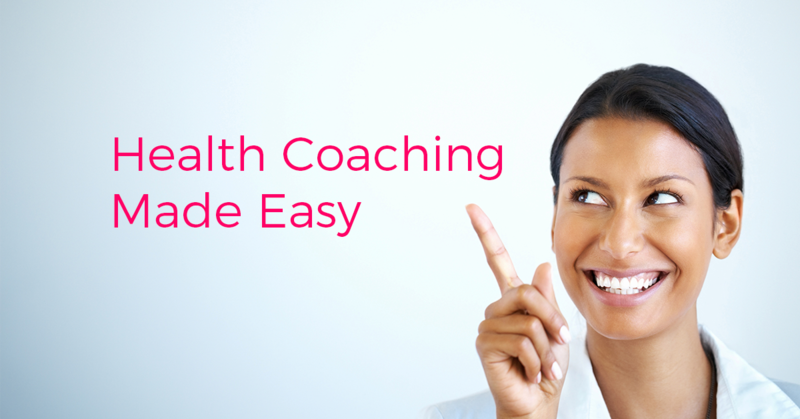 Enrollment for our upcoming Lifestyle Prescriptions® Health Coach opened. Click here to read the curriculum and out excellent tuition credit. 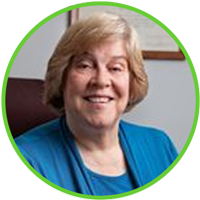 Enjoy below article posted by Jane Oelke ND, Lifestyle Prescriptions® Health Coach and ThermoBuzzer Thermography Imaging Consultant. Why do we get symptoms of pain or sickness? Do you know there is a process that the body follows in creating a healing response. Have you ever been “sick” after a stressful event? Or do you get “sick” on vacation? Our body’s innate intelligence follows a cycle to react to daily stressful events we experience so that we can stay healthy. When we experience a stressful event, our body starts to react. It activates the sympathetic nervous system to go into a flight, fight, or freeze response. Generally, during this sympathetic state, you don’t feel any pain because your body is operating at a heightened emergency level. There are underlying changes in organ tissues to support you through this process. Once there is a solution the body begins the regeneration cycle where restoration and normalization of the organ tissue occurs. Then we switch to activating the parasympathetic nervous system. We experience these different phases regularly. For example, our body is mostly in a sympathetic state during the day to be awake, and then at night, we enter the parasympathetic state when we sleep. After a shocking and stressful event, however, the body stays in the sympathetic state until a solution occurs for the issue. The body then goes into the parasympathetic state. At night, if we’ve experienced a shock earlier in the day and continue in the sympathetic state, we may find that we can’t sleep well; we’ll toss and turn and sleep lightly, not getting a good restorative sleep. While under stress, there is a growth of fungi, bacteria, or a virus that will generate but remain dormant until the regeneration phase. Microbes will be created in direct proportion to fix the tissues damaged during the stress stage. Bacteria, viruses, and fungi produced during the stress phase support the actions of the regeneration phase depending on the type of tissue affected. ues there is an increase in cell growth during the stress phase, so during the repair stage, the extra cells are eaten away by bacteria or fungi to return to homeostasis. So when you have extra bacterial or fungal imbalances it relates your need for a cleanup crew to come into your cells to get rid of extra cellular waste you produced during the stress stage. Remember, we have ten times more microbes in our body than actual organ tissues. Each of these microbes has a function to help repair or rebuild tissues after a stress response. Viruses are brought into the cells to help in the rebuilding process. 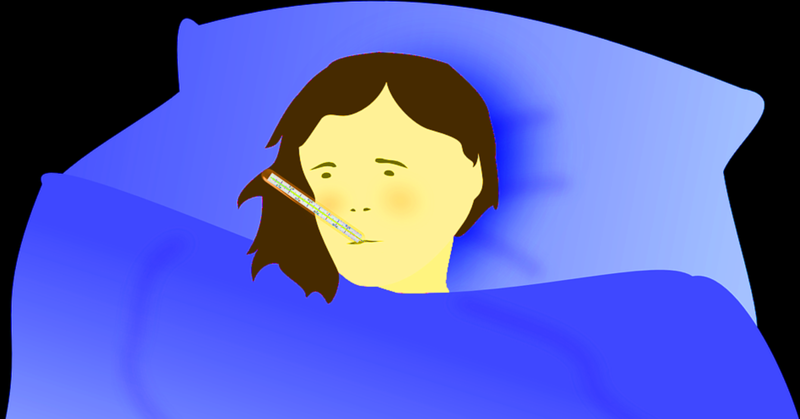 So if you get the flu, it is because you need to strengthen your cells that were damaged earlier during the stress phase. The regeneration phase generates “sick” symptoms of pain, congestion, edema, and fatigue as part of the healing process. We feel like we need to rest more, and we should, to keep the regeneration phase moving forward. I believe it is essential to understand your symptoms and if you are in a stress or regeneration phase, so you can support yourself correctly. When doing the Limbic Stress Assessment testing we can discover your imbalances related to this healing process. The more support you give your body, the quicker it will move back to health. For everyone who has asked, my next fibromyalgia book is almost complete. I am working with a publisher and hope to get it out this spring. 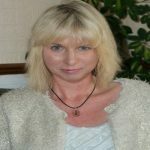 Thanks to everyone who has done the Fibromyalgia Pain Quizzes on my website. When you complete them I get a copy (and send it back to you), so I can study the overall results. That helps me understand you better and the more common causes of pain. I’ll make it quick: These 2 books are going to be bestsellers and a must for everyone who’s interested in stopping or reversing chronic symptoms, healthy living and longevity. 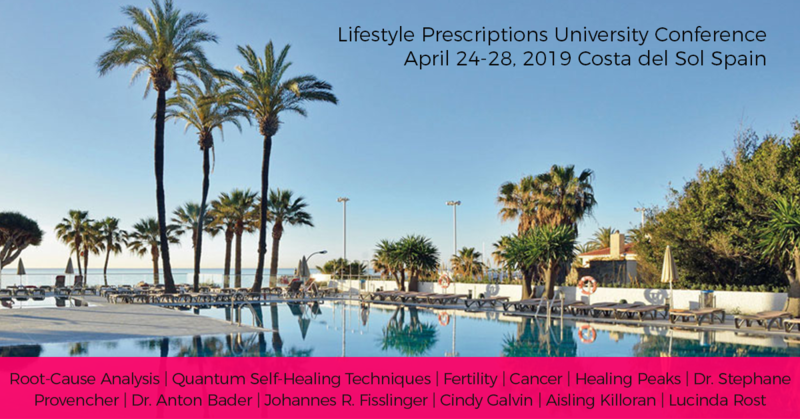 They are written by 2 of my favorite authors and I’am extremely thankful for their support over the last years (speaking at the Lifestyle Medicine Summit and as guest speakers at Lifestyle Prescriptions University). Read a chapter 10: “Is Breakfast Sabotaging Your Day?”, plus eight delicious and nutritious breakfast recipes for FREE. 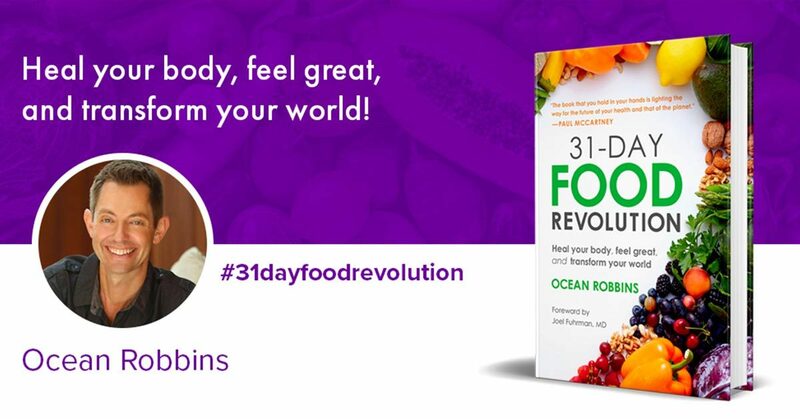 You may have heard the buzz about Ocean Robbins’ fabulous new book, 31-Day Food Revolution. We’re celebrating the release of this brilliant bestseller a bit early with Ocean by giving you an opportunity to start reading it right now. One chapter in the book is dedicated to simple and healthy breakfast ideas. For many people, this first meal of the day is the least healthy one. But in this chapter, you’ll get useful ideas and nourishing recipes (including his personal favorites) to help you start your day off right. Click here to see the powerful trailer now. Ocean is offering an amazing collection of high-valued bonus resources, worth more than $100, with every pre-order. 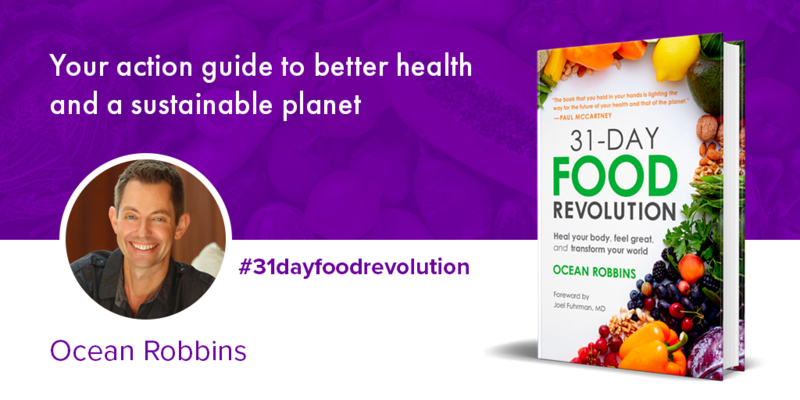 The new Book from Dean and Anne Ornish on how to stop and reverse chronic disease. 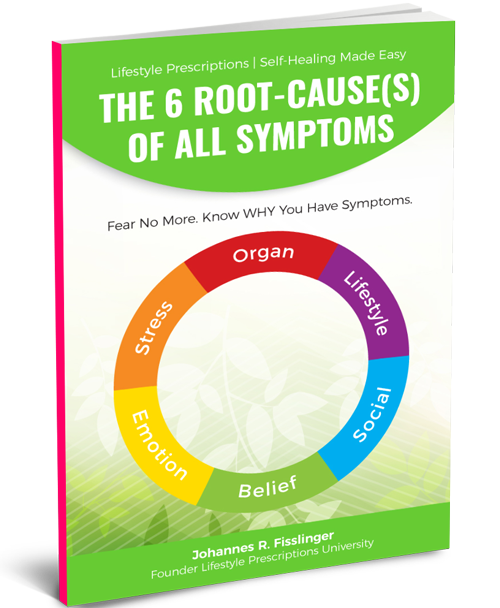 And just in case you haven’t read my last book “The 6-Root-Cause(s) Of All Symptoms yet then you can get it for a limited time for FREE. Download your copy of the book here. 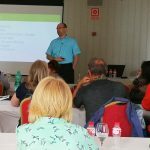 Today I read an article (scroll down for the article link, a webinar replay and a free consultation) and was inspired to write this article. My grandma had breast cancer and went through a horrendous experience that shaped her life in a powerful and negative way. It also affected me deeply and motivated me to find answers and solutions that go beyond the traditional methods. 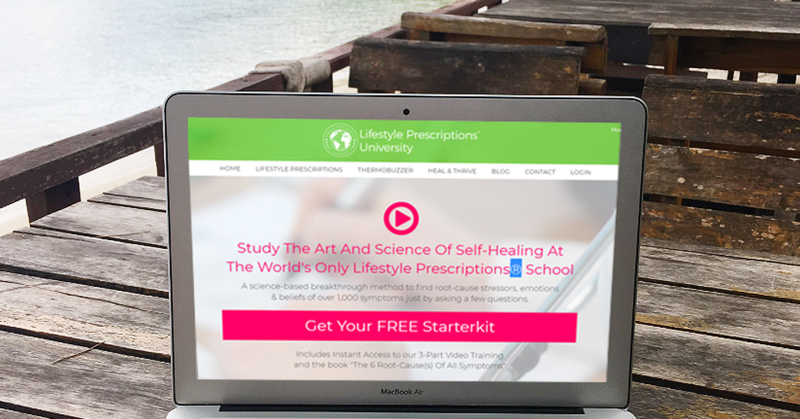 As a Lifestyle Prescriptions® Health Coach and while teaching at Lifestyle Prescriptions University I’ve worked with hundred of therapists, health coaches and traditional medicine practitioners and I’ve seen how difficult it is even for health professionals to change old, limiting beliefs about what’s causing cancer (or any symptom for that matter) and what do do about it. Emergency medicine, treating and managing our symptoms is essential and will always be there. But most of us would agree that we need to expand our health care system with a renewed focus on prevention and healthy living. This requires a clear understanding of the Art and Science of Self-Healing. New evidence suggests that there’s more to the biochemical changes in our organs, tissue or cell. Science is starting to realize that our lifestyle, including what we eat, how well we exercise, how much we stress and our social environment determines our level of health and vitality. The research is pretty clear by now. If we allow ourselves to view us as complex beings with a body, emotions, thoughts, life experiences and certain lifestyle habits then it becomes pretty obvious that these factors must play a role in the onset of symptoms and health in general (something we know by now through extensive research). 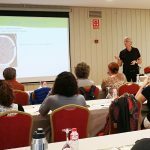 The HUGE difference to regular health coaching and Lifestyle, Integrative or Functional Medicine is that with Lifestyle Prescriptions® we realize there is a very specific (and I mean very, very specific) Organ-Mind-Brain Connection. 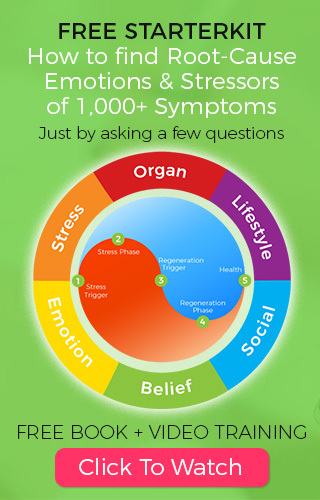 Every organ tissue in our body is affected and connected by very specific stress triggers, emotions, beliefs and lifestyle habits. There is nothing random about our body or the symptoms we experience. It’s all about biology. But biology is not just a collection of organs or cells. Our body is a direct reflection of consciousness and is directly linked to our mind and reality. inherent capacity and tendency to auto-regulate and heal naturally. that there are 6 Root-Cause(s) of symptoms. and that our symptoms are actually part of an organ tissue going through very specific 9 points of phases of self-healing. 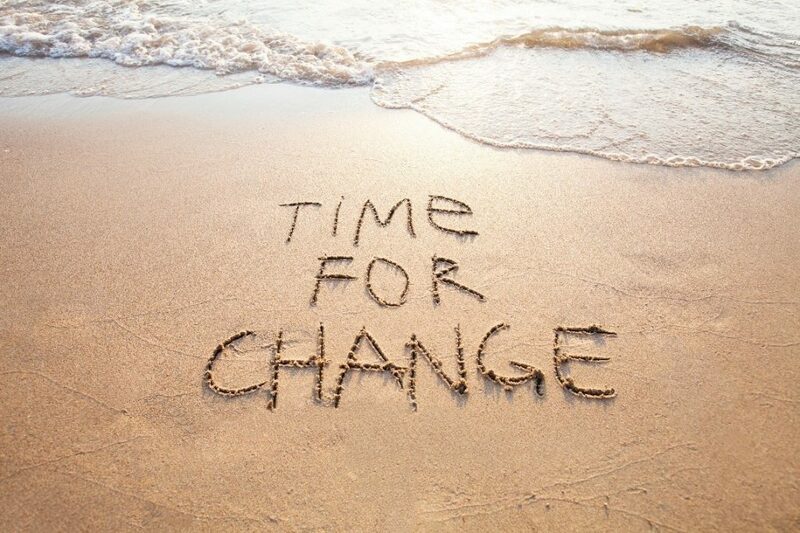 Trusting our body’s healing intelligence AND becoming aware of these root-causes AND taking conscious actions is what we focus on in Lifestyle Prescriptions® Health Coaching. Because if you know the WHY and HOW, things change. 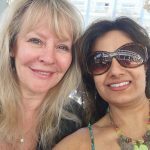 Whenever I talk with cancer survivors I am inspired by their stories and how understanding WHY they developed breast symptoms (for example) was one of the most important AHA moments in their life which has enabled them to change their life and align more fully with their true values and life purpose. Breast cancer can be perceived as a curse or as a miracle for renewal, healing and personal growth. 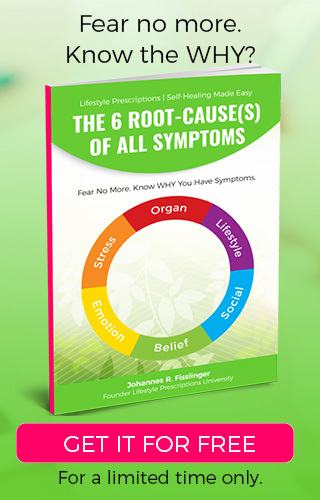 Watch the FREE WEBINAR replay from Lifestyle Prescriptions University Founder Johannes R. Fisslinger Breast Cancer. WHY? A Revolutionary New Perspective. Read this highly informative article Yes, Breast Cancer Can (And Often Does) Spontaneously Regress: Confirmed by Case Reports and Meta-Analyses from our friend Sayer Ji at Greenmedinfo.com. Listen to Sharon Curry, a breast cancer survivor and one of our amazing Lifestyle Prescriptions® Health Coaches, and book a FREE Consultation (breast cancer or any health issue). 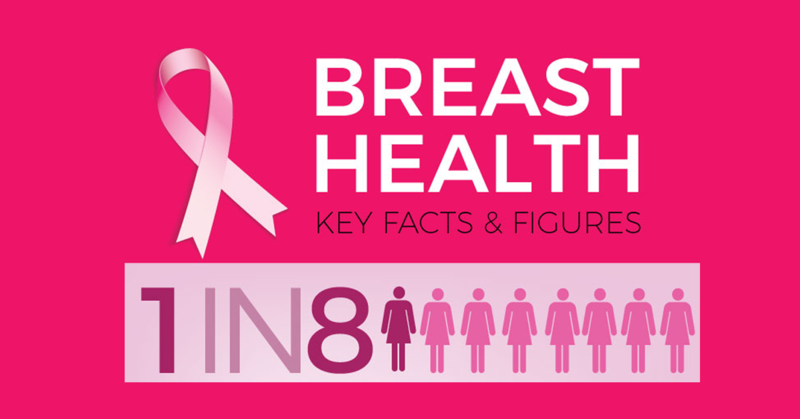 And please share this blog article with the infographic below and help inspire women around the world to review their options to achieve breast health. 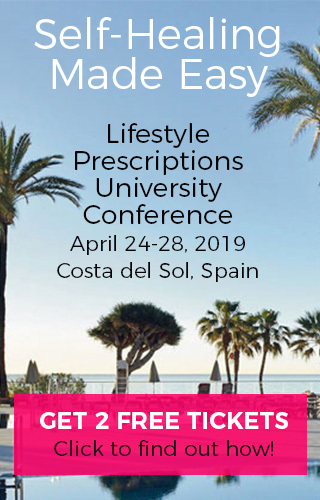 Just last week one of our new Lifestyle Prescriptions® University students said: “If our body is a healing machine and constantly auto-regulates then why do we have to do anything? Shouldn’t our body heal naturally?”. 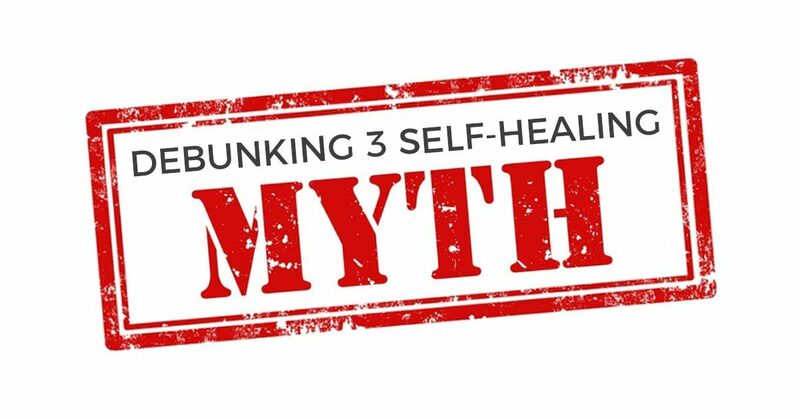 Let me also address several common myths or beliefs about self-healing that we need to completely reframe. 1) Self-Healing means doing nothing. I’ve heard many times that self-healing means doing nothing. We just let nature take its course. We trust. Trusting our body’s healing intelligence is important but it does NOT mean we do nothing. That belief or mindset is totally wrong and actually the opposite is true. In my book “The 6 Root-Cause(s) Of All Symptoms” I explain more about this phenomenon … and lets face it if doing nothing would allow us to be well then we all would be in perfect health, right? 2) Symptoms will improve of their own accord. Our biggest obstacle by far is procrastination. We wait for a better time or a miracle to happen. 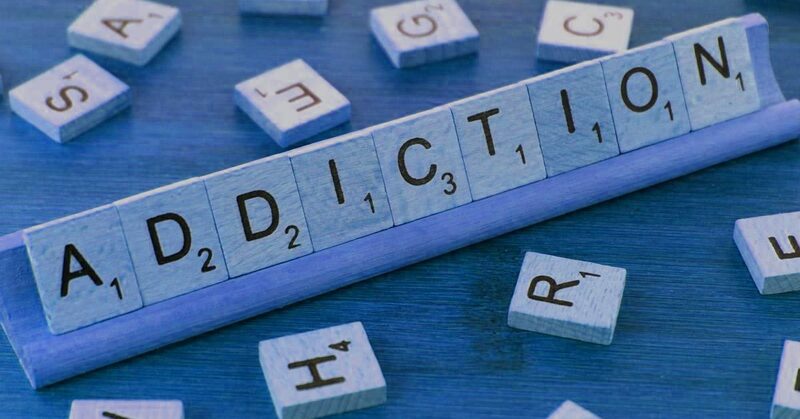 We experiment and try this and that without being fully aware of what’s really causing our symptoms or what’s blocking the auto-regulation process. Hoping things get better or knowing specifically the WHY and HOW (root-causes) and having a clear plan to succeed? Usually clients are a bit shocked and ask what do you mean? How can you say this considering my symptoms. Well, symptoms are part of a complex process and if we know that the pain back pain, fever, inflammation, skin eczema or many other symptoms are “signs” that the corresponding organ tissue switched already from the stress/sympathetic phase into the regeneration/parasympathetic phase. Yes, it can be painful. But if we reframe the symptoms and know why we have symptoms, if we know the timeline and the process of self-healing for every single organ in our body we can start to build trust in our body and our inner knowing.